Contrary to The Reminder's recent article, the proposed development on Mayfield Road in Enfield, CT WILL have a huge impact on Longmeadow, particularly to the residents on Shaker and Maple Roads. The article quotes Longmeadow Planning Chair Walter Gunn saying he saw "no impact on Longmeadow residents" from this project. But what the headline doesn't point out is that, when interviewed for the article, Mr. Gunn stated he had "not heard specifically about this proposal". Since Mr. Gunn had not yet heard about the proposal, we must assume he did not know the plans include 34 separate apartment buildings, with 10 units in each, housing between 600 and 1000 people. He would also not have seen the study which shows 70% of the cars leaving the development will turn north, directly into the intersection of Maple Road/Shaker Road in Longmeadow.. Most of these cars will continue west on Maple Road to Longmeadow Street, adding hundreds of cars to this residential neighborhood during commute times. 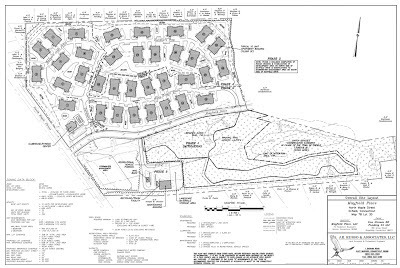 I would like to hear Mr. Gunn's opinion of this project once he has had a chance to review the plans for this inordinately large complex, "by far the largest in the area" according to your article, which will directly impact all residents of Longmeadow's Maple Road, not just the abutters of this large development. I would also like to point out that this proposed development is apartment rental units and bears little resemblance to the small condo developments mentioned in the article. 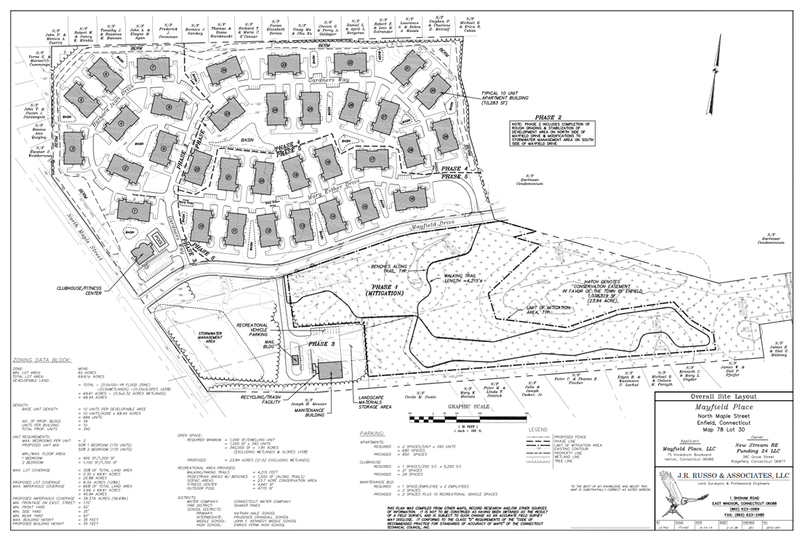 The Enfield Planning and Zoning Commission has not yet approved the required special permit for the Mayfield development. The public hearing for the permit has been continued until their July 11th meeting. Anyone from the public may go to the meeting to express their concerns, or may submit letters to the Commission prior to July 11th, if they are unable to attend. I'm all for the improvement of this neglected piece of land. But an over-sized development that exports its traffic problems directly into our neighborhood, is not an improvement to Longmeadow.